Our South Florida Public Adjuster (Bryan E. Thomas) is very well versed in water & flood damage coverage and policy language. He has adjusted thousands of water and flood claims over the years and is second to none when it comes to getting the best water / flood claim / pipe break claim settlements possible. Bryan E. Thomas a top rated Florida Public Insurance Adjuster is the most qualified and experienced Flood Adjusters in the insurance industry. He knows what it takes to maximize water damage / flood damage and pipe break claim settlements and feel our firm is the top public insurance adjuster firm in the Country when it comes to these type losses. We are held to the highest possible standards being a member of NAPIA (National Association of Public Insurance Adjusters). Water damage, mold damage, flood damage and pipe breaks are some of the most common reasons people make claims on their home insurance. Burst pipes, leaky appliances and flooded basements are just a few of the ways you could discover exactly what is and is not covered by your home insurance policy, most insurance companies will deny pipe break claims because they don’t understand the cause and origin of the damage, because of this, you should hire a Florida Public Adjuster from the start. We will help deliver the results you deserve as a policyholder. 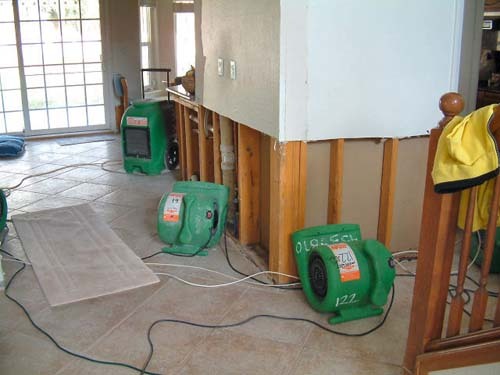 Water damage insurance claims assessment can be tricky. Damage to your most important life investment, your home is not always apparent or visible. Great care should be taken to inspect all aspects of a water break or water related damage. Once you have a 360 degree view of the problem details of how to properly fix the damage can be outlined. Detailed construction processes are defined along with proper clean up techniques to fix the damaged area and any other areas which could have exposed your home to future issues due to the water damage event. Experience is critical in assessing the water damage event. We have the knowledge of proper construction methods, proper clean-up methods and the critical estimating tools to develop a detailed line by line estimate of damages which will work to your advantage in building your water damage insurance claim against your insurance company. Bryan can start working for you right away, as a licensed, bonded public insurance adjuster , Bryan has the experience necessary to fight for your right to a proper equitable insurance claims settlement.